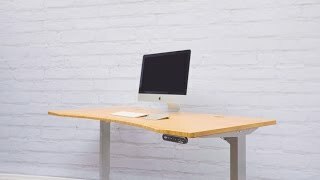 The UPLIFT Desk Short Crossbar End will allow you to mount your UPLIFT sit-stand desk base to smaller desktops or create more room underneath for a keyboard tray and other accessories, and is compatible with desktops as narrow as 26" wide. If you're just looking for the standard-length pieces, you can visit the UPLIFT Desk Standard Crossbar End listing. The UPLIFT Desk Short Crossbar End comes in your choice of black, gray or white to match your UPLIFT 2-Leg Desk Frame. Please see our warranty page for more information regarding the warranty on this item. $40.00 List Price: $54.00* The list price is the same as the MSRP (Manufacturer's Suggested Retail Price). It may not necessarily be the price at which the product is sold.